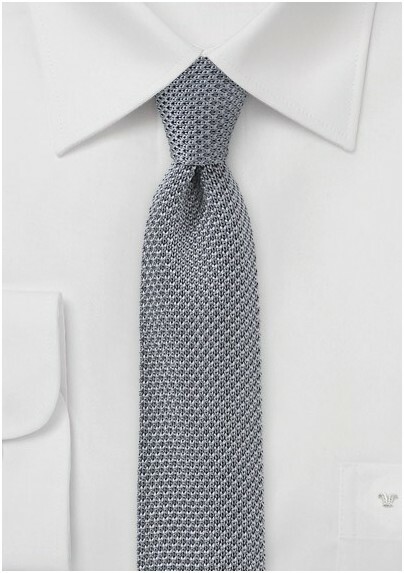 Coordinate an uber successful look for your everyday style by incorporating this phenomenally stylish skinny knit tie into your fashion rotation. 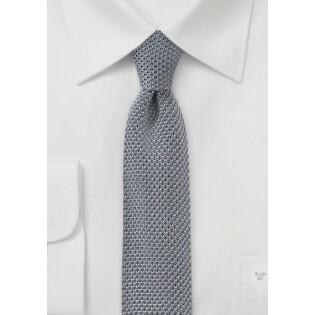 The high styling knit tie in dashing shade of platinum silver is absolutely sensational for all your menswear fashion needs. For a debonair look that is both casual and refined, we suggest teaming this tie with a black and white gingham shirt, a charcoal cardigan sweater and broken in cotton chinos. Designed by Blackbird and made from 100% silk.